The strawberries are gorgeously all Amaō! 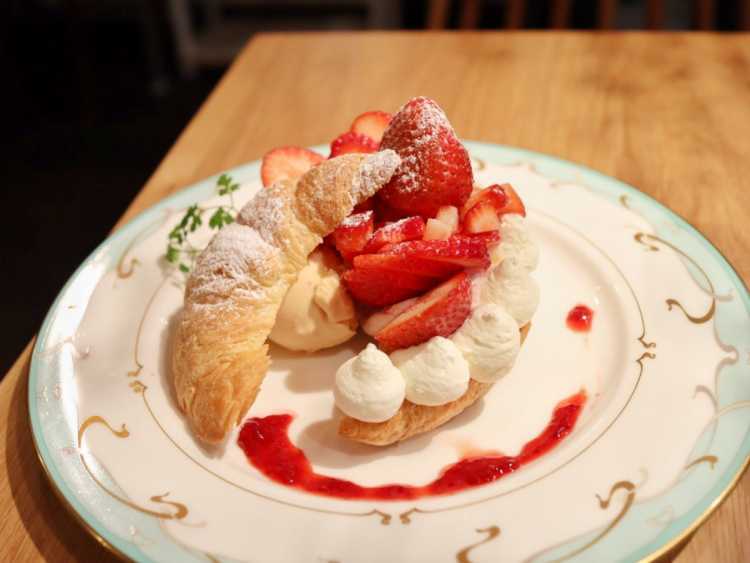 For the crisp croissant, homemade jelato of Amaō, custard, and fresh cream and many Amaō strawberries. I love this beautiful display, too!